"The 5G E speeds which AT&T users experience are very much typical 4G speeds and not the step-change improvement which 5G promises," Opensignal wrote. 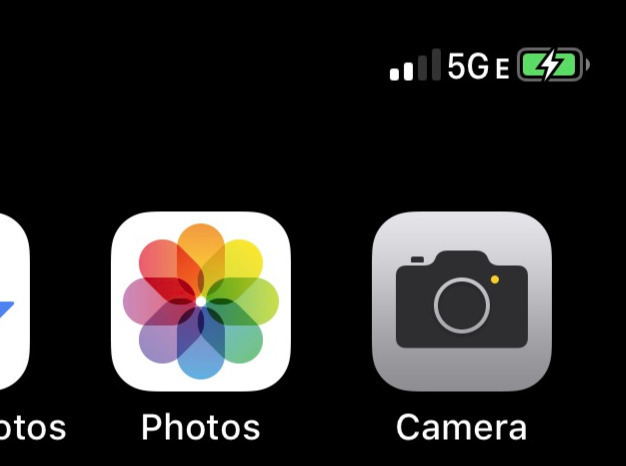 The carrier's "5G E" labeling -- present in the iOS 12.2 beta -- has drawn widespread criticism, including even a Sprint lawsuit accusing it of false marketing. AT&T is deploying a true 5G network, but may be trying to position itself as ahead of the curve, given that chief rival Verizon is rolling out limited but authentic mobile 5G on Apr. 11. Many in the smartphone industry have argued that plateauing sales can only be rescued by 5G, which promises bandwidth up to 10 gigabits per second. That's many times faster than LTE, and has even been sold as essential to technologies like 4K streaming, autonomous cars, and augmented/virtual reality. Responding to today's study, AT&T argued that Opensignal didn't verify devices were tested in 5G E coverage areas. However, given that AT&T has worked with device manufacturers like Samsung and Apple in the iOS 12.2 beta to display the 5GE logo when appropriate, this would be an easy thing for Opensignal to check. Too many variables in this to generilze for everyone. I easily hit between 20 to 120 depending my location on att and even hit 250 in part of Portland. "False advertising" used to be somewhere between illegal and condemned. Now it joins ranks with Alternative Facts. My speeds on 5g e never hit more than 30mbps. LTE speeds though 15 miles away are consistently 120mbps or more. Apple should not get sucked into AT&T’s scam. Is 4K streaming even useful? Maybe if 5G replaces cabled residential connections that could be very useful at some point in the future, but 4k on a mobile device seems like a waste of bandwidth. ..and "Fake News." All codewords for "I don't like what the other side is saying so I'm going to discredit it to make up for my own falsehoods." maybe on a 12" iPad, but on a phone? Worthless. Aside from that, you can stream 4k video over LTE if you have a good signal. "AT&T argued that Opensignal didn't verify devices were tested in 5G E coverage areas"
hmmm... so you're assuming they didn't bother to check to see if the devices were actually displaying your fake "5G E" logo? Yeah, not sure I buy that. At this point in history, are we shocked that carriers lie? YMMV is the only thing you can count on. The general public has has gotten a bit smarter after the 3G to 4G hype, and while yes speeds are much faster than 3G, many highly populated parts of the US still have mediocre speeds and signal strength. I understand that there needs to be more towers to accommodate the amount of devices that are accessing the network. With that, there is a lot of opposition by municipalities and citizens in building new towers. It would be better for the carriers to educate the general public on why we need more towers, rather then spend money on lobbying the government agencies to build more towers. If we want to fix false advertising, why don't we fix the false advertising in the auto business, where you can buy a 2020 car model in the summer of 2019? Slower speeds and with worse coverage and penetation? That sounds like AT&T to me. How is that false advertising? You need to understand how the auto industry works to know why a 2020 model comes out in 2019. Ah yes. The old ‘because we’ve always done it this way’ justification. Got it. Except the model year on a car is meaningless, other than to differentiate it from the previous or next model year. The only thing 2019 implies is that it came after 2018 but before 2020, so there' really no false advertising involved. Now if Ford were to release a new version of the Mustang and advertise it as having 450 HPF* (* horsepower, Ford scale) that was actually 150 HP, then it would be false advertising. Someone here the other day said they WILL NOT even consider upgrading their 6s Plus until Apple equips iPhones with 5g modems. I think they ended the post by saying “get off your butts Apple!,”. It's a lot more than just what was done in the past. Another huge factor is production scheduling. Take Ford for example. Ordering for 2020 model year begins in mid to late summer of this year. Most Ford plants start production of 2020 models in September and October. Ford needs enough time to fill dealer stock so that's why you will always see 2020 models come out in 2019. Lies? From AT&T? Say it ain't so! Ford scale? Is that SAE? Wheel? Crank? Is there a Toyota scale? Isn’t this EXACTLY what AT&T is doing? Crop harvests, production ramp-ups, whatever. I get it. I also get that they can label their products however (or whenever) they want. It’s when you completely buy into their advertising as ‘truth’ that things don’t make sense. You know, kinda like AT&T. Looks like Ma Bell be effin’ ‘round. Ford scale? Is there a Toyota scale? Is that measured at the wheels or the crank? Is it related to SAE measurements? You know that horsepower declarations made by the manufacturers in the 60’s and 70’s (and later) were largely fabricated right? Actually, I’d suggest your post is a perfect illustration of how AT&T seems to be doing EXACTLY what car manufacturers have long done. Their facts are only facts when viewed through their particular lense. I’d imagine most thinking people take any statement of ‘fact’ made by ANY manufacturer with a huge grain of salt. If anyone wants to believe with complete conviction what the maker of a product says, well, okay then. I doubt anything anyone else says will change your mind. Just don’t be surprised when you find that some are dubious. I am not pro or anti pro to any cellular network, however it does seem that some of the testing from different studies seem to be anti AT&T. I travel a bit often the SE United States and occasionally the NE and West Coast and have a company iPhone XS Max (Verizon) and my personal iPhone XS Max (AT&T) both 512 GB Memory apples to apples. During my travels I am often performing speedtest on my Ookla speedtest app on both phones/ networks where signal strength is normally max on both phones. Often now I am seeing AT&T with the faster download speeds and Verizon often the faster upload speeds. Again not partial to either but just sharing the facts of what I am often seeing daily during my travels totally different from what is being said on these different studies. in 2011 the World Health Organization (WHO) classified radio frequency radiation as a possible 2B carcinogen. #2 – EFFECTS ON THE SKIN The effects of millimeter waves as studied by Dr. Yael Stein of Hebrew University is said to also cause humans physical pain as our nociceptors flare up in recognition of the wave as a damaging stimuli. So we’re looking at possibilities of many skin diseases and cancer as well as physical pain to our skin. #3 – EFFECTS ON THE EYES A 1994 study found that low level millimeter microwave radiation produced lens opacity in rats, which is linked to the production of cataracts. A 2003 Chinese study has also found damage to the lens epithelial cells of rabbits after 8 hours of exposure to microwave radiation and a 2009 study conducted by the College of Physicians and Surgeons in Pakistan conclude that EMFs emitted by a mobile phone cause derangement of chicken embryo retinal differentiation. #7 – EFFECTS ON BACTERIA RESISTANCE The very same Armenian study also suggested that MMWs effects are mainly on water, cell plasma membrane and genome too. They had found that MMW’s interaction with bacteria altered their sensitivity to “different biologically active chemicals, including antibiotics.” More specifically, the combination of MMW and antibiotics showed that it may be leading to antibiotic resistance in bacteria. This groundbreaking finding could have a magnum effect on the health of human beings as the bandwidth is rolled out nationwide. The concern is that we develop a lower resistance to bacteria as our cells become more vulnerable – and we become more vulnerable. #8 – EFFECTS ON PLANT HEALTH One of the features of 5G is that the MMW is particularly susceptible to being absorbed by plants and rain. Humans and animals alike consume plants as a food source. The effects MMW has on plants could leave us with food that’s not safe to consume. #9 – EFFECTS ON THE ATMOSPHERE AND DEPLETION OF FOSSIL FUELS Implementation of the 5G global wireless network requires the launching of rockets to deploy satellites for 5G. These satellites have a short lifespan which would require a lot more deployment than what we’re currently seeing. A new type of hydrocarbon rocket engine expected to power a fleet of suborbital rockets would emit black carbon which “could cause potentially significant changes in the global atmospheric circulation and distributions of ozone and temperature” according to a 2010 Californian study. Solid state rocket exhaust contains chlorine which also destroys the ozone. The effects on the ozone are thought to be worse than current day CFC exposure. Google’s Project Loon is said to bring Internet to rural and hard-to-access areas by using helium balloons. But these balloons only have a 10-month lifespan. We’re looking at a lot of helium being used here, more than what we can possibly have on Earth? #10 – DISRUPTION OF THE NATURAL ECOSYSTEM Since the year 2000, there have been reports of birds abandoning their nests as well as health issues like “plumage deterioration, locomotion problems, reduced survivorship and death,” says researcher Alfonso Balmori. Bird species that are affected by these low levels, non-ionizing microwave radiation are the House Sparrows, Rock Doves, White Storks, Collared Doves and Magpies, among others. But it’s not just the birds. The declining bee population is also said to be linked to this non-ionizing EMF radiation. It reduces the egg-laying abilities of the queen leading to a decline in colony strength. A study conducted by Chennai’s Loyola College in 2012 concluded that out of 919 research studies carried out on birds, plants, bees and other animals and humans, 593 of them showed impacts from RF-EMF radiations. 5G will be adding to the effects of this electrosmog. #11 – MOST 5G STUDIES MISLEADING 5G will use pulsed millimeter waves to carry information. But as Dr. Joel Moskowitz points out, most 5G studies are misleading because they do not pulse the waves. This is important because research on microwaves already tells us how pulsed waves have more profound biological effects on our body compared to non-pulsed waves. Previous studies, for instance, show how pulse rates of the frequencies led to gene toxicity and DNA strand breaks. How To Protect Yourself From 5G 1. Understand your exposures. Understand the different types of EMFs and how they behave – hence the need to read (and share) articles like this one. 2. Measure – use an EMF meter to obtain readings and identify hotspots. 3. Mitigate your exposure. Which means either eliminate the source, move further away from the source of radiation or shield your body. I recommend the same approach with 5G. There is a concern that current EMF meters are not able to measure the frequencies of MMWs. On this point, researcher Alasdair Philips from Powerwatch states “current RF meters cover the frequency ranges proposed for most 5G use in the next three years”.